Rick Axtell, Michelle Tooley, Michael L. Westmoreland-White, eds. 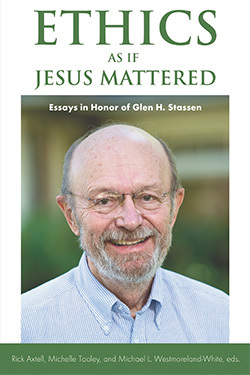 Glen Stassen has approached his life and work “as if Jesus mattered,” and this new collection of essays in his honor demonstrates that the contributors share that commitment, each in her or his own way. Ethics as if Jesus Mattered will introduce Stassen’s work to a new generation, advance dialogue and debate in Christian ethics, and inspire more faithful discipleship just as it honors one whom the contributors consider a mentor. Rick Axtell is professor of religion and campus Chaplain at Centre College, Danville, Kentucky. Previously, he was director of Louisville United Against Hunger and a case manager with homeless men at St. Vincent DePaul. Michelle Tooley is associate professor of Religion and Peace Studies at Berea College. Her research is on Religion, Ethics, and Society, with particular focus on peace building, migration, and human rights. Michael L. Westmoreland-White was formerly the outreach director of Every Church a Peace Church and remains heavily active in faith-based organizations working for peace with justice, especially the Baptist Peace Fellowship of North America, Christian Peacemaker Teams, and the Fellowship of Reconciliation. He teaches religion, philosophy, and ethics courses at several colleges and universities in Louisville and Southern Indiana. 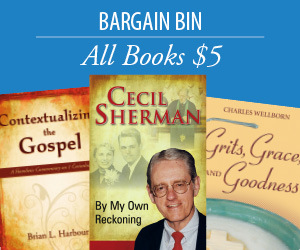 I welcome this festschrift in honor of Glen Harold Stassen. The essays here add considerably to understanding of the full significance of Stassen's profound contribution to Christian ethics, and mark another heartfelt tribute to one of the great Christian teacher-mentors of our era. Highly recommended! Glen Stassen, who sadly died aged 78 in April 2014, was giant of Christian ethics. Students (like the present reviewer) who had the good fortune to have attended Professor Stassen’s classes cherish fond memories of his warmth, generosity, integrity, wisdom and charisma, as well as his piercing intellect. He had a rare gift for communicating his ideas – both in his classes and in his writing – in a way that was simple yet profound. His book, 'A Thicker Jesus: Incarnational Discipleship in a Secular Age', is a superb example of how Jesus’ life and teachings connect transformatively with the major public policy issues of our times. The book under review is a collection of essays written with the intention of introducing Stassen’s work to those who are unfamiliar with it and to honour his life and legacy with a view to “advancing dialogue and debate in Christian ethics and more faithful discipleship”. The volume is to be welcomed in so far as it helpfully elucidates key aspects of Stassen’s theological reflections and disseminates his ideas to a wider readership. The chapters offer well-informed clarifications of various strands of Stassen’s thinking on issues ranging from the exegesis of the Sermon on the Mount to the problem of international conflict. The volume begins with two excellent chapters by Michael Westmoreland White and Michael Willett Newhart. The latter’s chapter, entitled, ‘Stassen on the Mount’, admirably sets out Stassen’s radically Christocentric approach to ethics. Stassen’s method, Newhart explains, “is Christocentric, and his Jesus is the Sermon on the Mount”. Newhart laments that “most New Testament scholars writing on the Sermon are not saying anything about Stassen’s work” on the spurious grounds that Stassen, as a Christian ethicist (despite his deep knowledge of the biblical languages and his publication in leading journals such as The Journal of Biblical Literature), is still regarded by Biblical studies establishment as an “outsider”. After David Fillingham’s admirable chapter on Stassen’s debt to the Niebuhr brothers, Joon-Sik Park offers a lucid account of Stassen’s ecclesiology and the impact that H. Richard Niebuhr and John Howard Yoder had on Stassen’s conception of the church’s prophetic social and ethical imperatives. Another highlight of the book is Tina Pippin’s chapter on ‘Nuclear Jesus’. Pippin inveighs against the doomsday speculations of premillennial Christians and considers how Stassen’s incarnational approach to ethics can be applied to the issue of what she calls “the nuclear madness” that poses an apocalyptic threat to all human life. Pippin’s chapter on nuclear weapons is particularly pertinent to a volume dedicated to Stassen, who himself was a scientist trained in nuclear physics. He therefore understood at a deep level the lethal destructive potential of nuclear weapons and this made him all the more ardent in his advocacy of proactive peaceful and non-violent transforming initiatives as the means towards the resolution of international conflicts. It would be no exaggeration to say that Stassen devoted his whole life to serving the cause of peace. It is fitting, therefore, that the final chapters of this collection are devoted to Stassen’s engagement with his Just Peacemaking (JP) initiative. Aldrin M. Penamora offers an insightful summary of the main ideas and practices of JP and how they can be applied to prevent – rather than abolish – war and explores how the principles of JP can be applied to contexts of conflict, oppression and the struggle for justice in relation to the Filipino Christians. All the chapters can be read with profit and each illuminates an important aspect of Stassen’s thought. If there is a possible shortcoming, it would be the conspicuous lack of European contributors. Almost all of the contributors are based in North America and none are from Europe. Although Stassen himself was born, raised and spent most of his working life in the USA, he continues to have an important influence on the shaping of Christian ethics (particularly among Baptists) in Europe, most notably through the close connections he had with the International Baptist Theological Seminary in Prague. His book, Kingdom Ethics (co-authored with David Gushee), has been translated into Bulgarian and he supervised the PhD theses of various significant Christian leaders throughout Eastern Europe. He has also been involved in various Just Peacemaking initiatives throughout Europe. Therefore, although the preponderance of American voices is understandable, it may have been appropriate to have included a chapter from a contributor based in Europe. Moreover, given Stassen’s “lifelong fascination with Anabaptist theology and its influence on early Baptist life” (11), it may have been fitting for the volume to have included a chapter that offered a distinctively anabaptist perspective on Stassen’s theological vision. In conclusion, this book is a very welcome addition to our understanding of Glen Stassen’s generously evangelical approach to ethics. Much like Stassen’s own written work, the contributors to this volume generally succeed in combining passion and verve with critical rigour and clarity of expression. As such this volume is a fitting tribute to a man and a scholar whose works will continue to encourage and inspire theologians, ethicists, policy-makers and all people of good will to engage proactively in transforming initiatives that build the peaceable Kingdom, which Stassen taught and embodied throughout his life.